Cycling is very much in the news at the moment with stages of the Tour de France road race taking place just over the border in Yorkshire on the 5th & 6th July 2014. 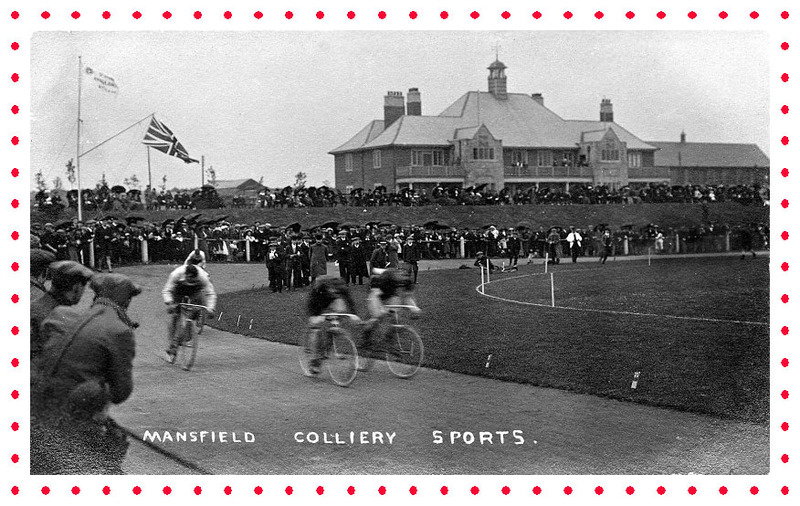 No doubt many cycling enthusiasts from around Mansfield will be among the crowds of spectators to cheer on their favourite riders and teams. 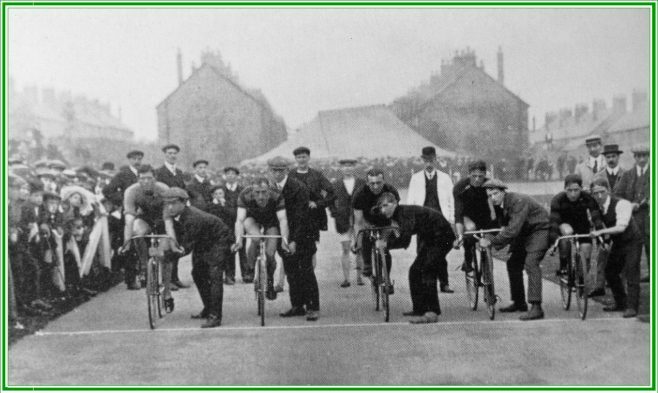 The days are still recalled when hundreds of cycling enthusiasts came to Forest Town Track on the Welfare Sports Ground to watch cycling favourites such as Reg Harris. 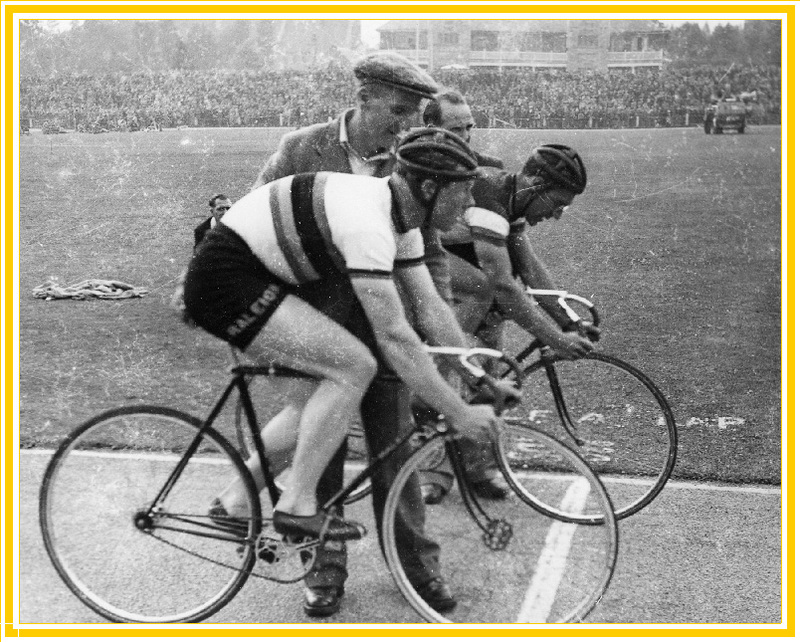 Unlike the road race of the Tour De France there were no green, polka dot or yellow jersey’s being ridden for, indeed the cyclists would have been less colourful than todays riders, however the enthusiasm of both riders and spectators would have been just the same. Reg Harris - would he have made the Sky Team? Re: the photo of Reg Harris - is the other rider Arie Van Vliet? Bottom photo!! !I was there,50 or 51 organised by the Labour Party, the other rider is Cyril Bardsley I believe.. Freddie. Gilks was on the.Organising committee. What an event!